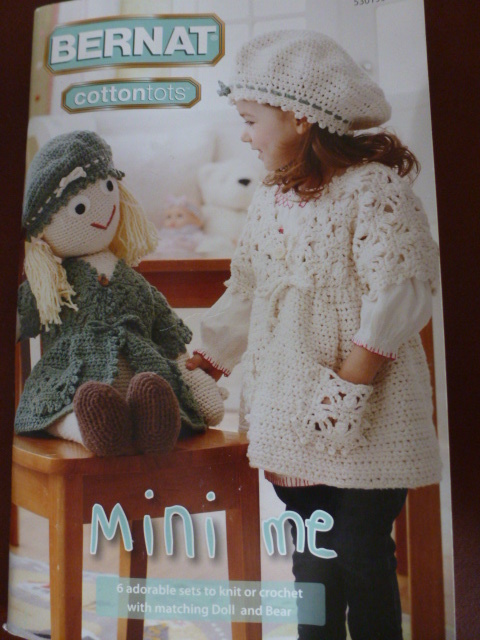 A Crocheted Rag Doll for ME! When I was little, I loved rag dolls more than any other kind of doll. They reminded me of Laura Ingalls and the prairie, when store-bought luxuries were the exception and people used their own wits and creativity for entertainment. *sigh* I was born in the wrong century. 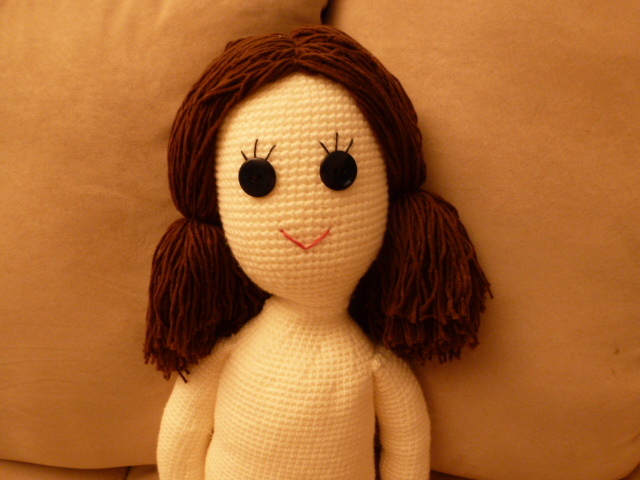 I used to collect rag dolls – I never got rid of any of them. 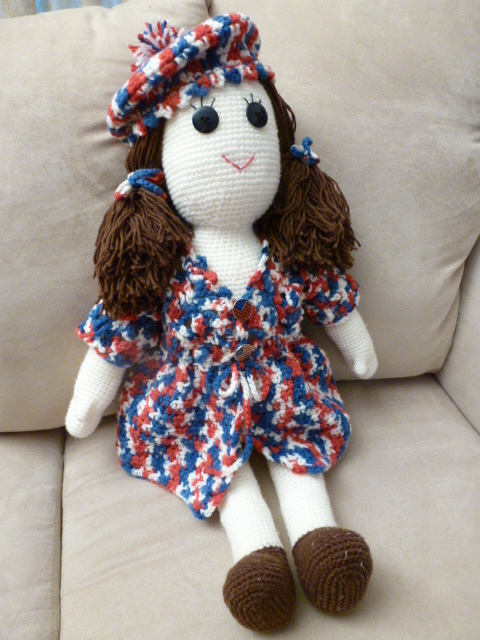 As with everything else, “the storm” took all of my rag dolls except my favorite, Lucy Mae. I took her with me when I evacuated. Got to know where your priorities lie! 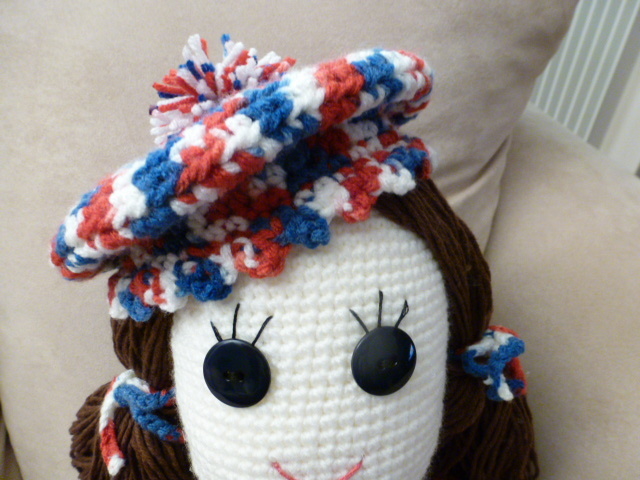 I found an old 1970’s Heather rag doll (Hollie Hobbie’s best friend) on eBay and snapped her up. She is just like the one I had, complete with stained face and bare bottom (lost her drawers somewhere along the way). But you can’t replace everything you lose. The sentimentality is no longer attached to the item. So I decided to create a new memory for myself: to take the sorrow of loss and turn it into the joy of something new. 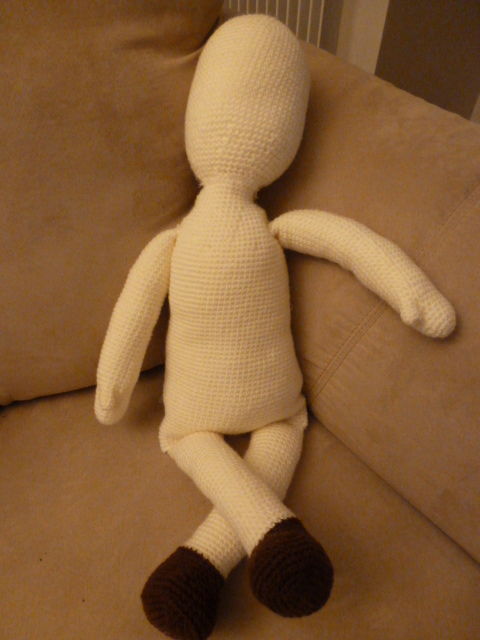 As she started to take shape, I began to think about her – the way I used to think about my dolls when I was a kid. 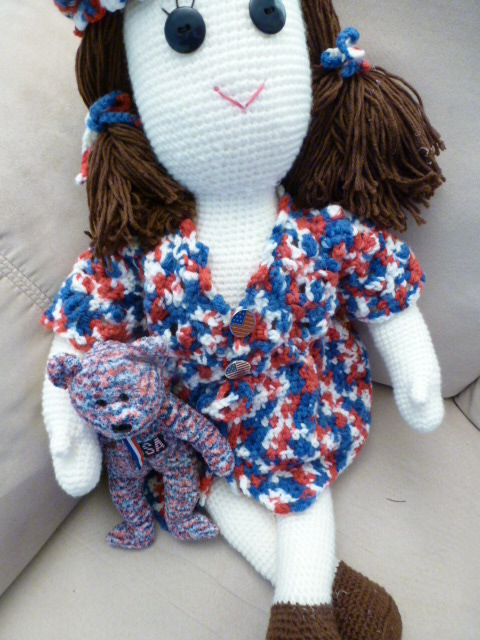 Things like, “She’ll want a new dress, but in what color?” (I chose red, white, and blue for summer, of course.) Or “What should I name her?” Stuff like that. 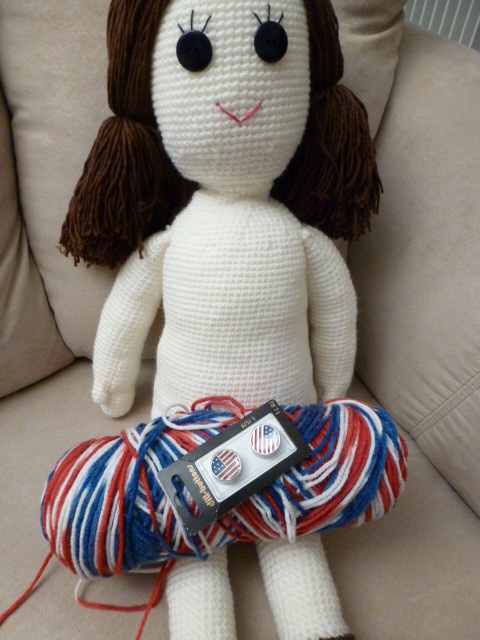 When I look at her, I don’t think about the dolls I lost, as I do when I look at my “new” Heather doll. I sit next to her on the couch and think about her. “She needs a teddy bear,” comes to mind. I think about how good my life is now with my new doll. I think about the future and make plans. I didn’t do that for a long time, not without a lot of doubt and trepidation. “She’ll need a sweater in the fall. I like this one. 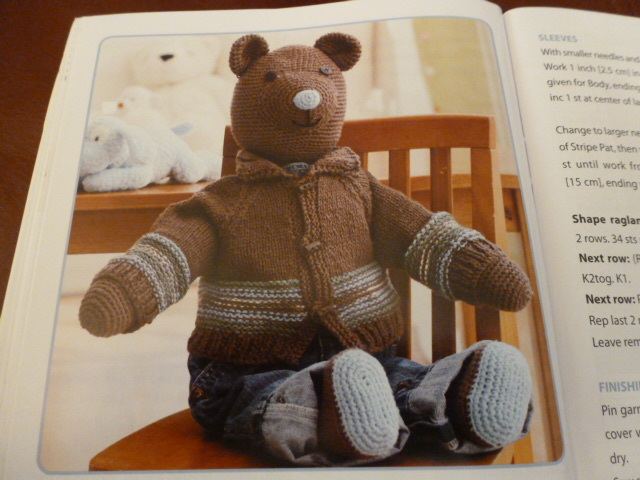 Brown would be pretty – my favorite color.” I told Heidi about my rag doll and she wants to make one, too. Good. Now mine will have a bff. But she still needs a name! Norm says I should name her Marie, after Marie Landry of my novel. But Marie was named after our Jillian Marie, so I feel it has already been done. I can’t make this decision lightly: She will have this name forever. Hmmmm. Still thinking, good thinking. 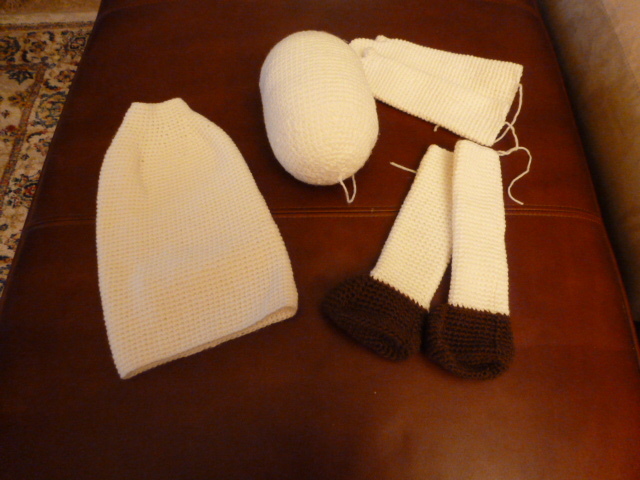 That is the power a rag doll holds – the power of good thinking! You are quite welcome. I am sure you will love Etsy. This is probably the most beautiful post I’ve read in a while. There’s something magical about recapturing the comforts of our youth.